In the small intestine of the human body a network of capillaries transport nutrients including amino acids and carbohydrates. 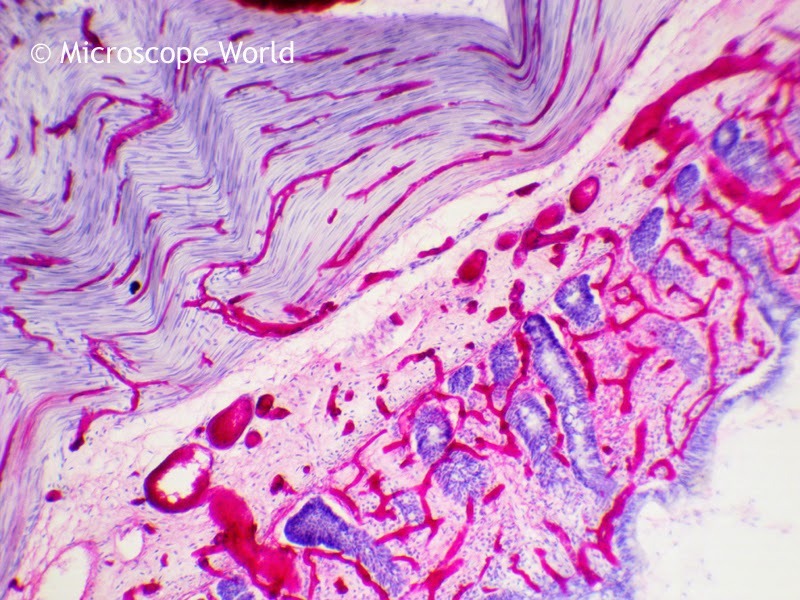 The images below were captured with a high power compound digital microscope. 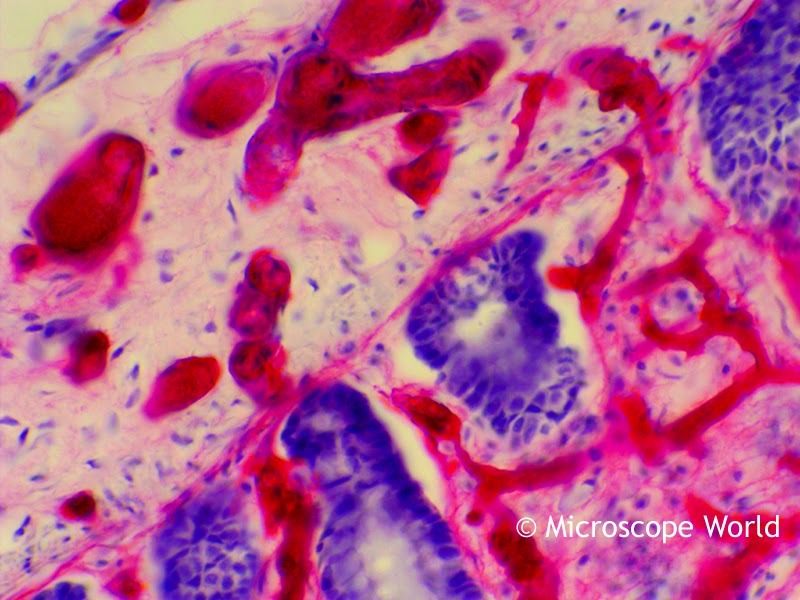 Small intestine capillaries captured at 40x under a compound microscope. Small intestine capillaries captured at 100x under a compound microscope. Small intestine capillaries captured at 400x under a compound microscope. 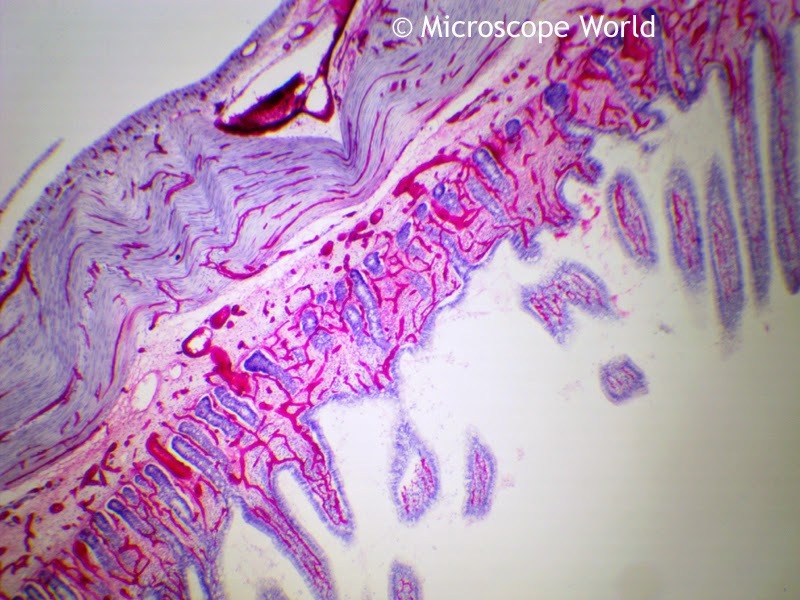 The microscope prepared slide of small intestine capillaries can be found in the Histology Microscope Prepared Slide Kit from Microscope World.